Google Insight search is a very powerful tool to find popular Keyword for webmasters, online marketer and bloggers. 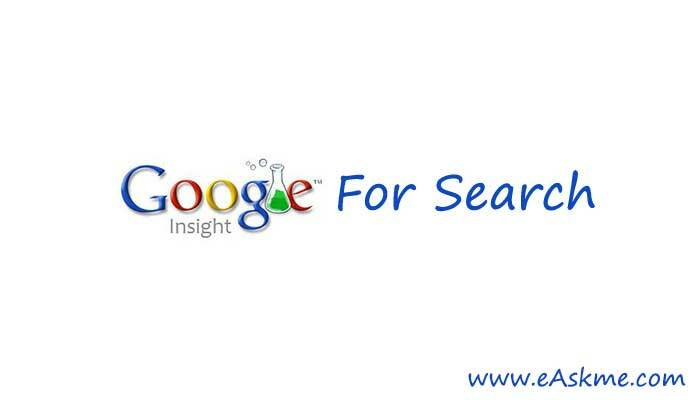 Today we will discuss about you you can use Google insight search for benefits. We already know that organic traffic is one of the best method to drive traffic to monetize blog or website from adsense. To get traffic from search engines, you have to optimize your articles. It includes building backlinks, sitemap submissions, dofollow, nofollow, permalink and so on. The easiest way to get organic traffic is to write about current trending topics in your niche. It help you to drive more visitors from search engines. Trending topics are the topics which people always search in current time. Google insight search is a product of Google and a free tool to find popular keyword and trending topics. You can easily change settings to find desired results and write posts which can drive organic traffic. So idea here is to write a post about phone which people are searching at this moment. Time range: Last 7 days. Rising search list is Nokia c1, Nokia 1320 etc. This is popular keyword list for Nokia phone. Now you can easily find popular keyword using Google insight search. You can easily change settings like country, time-frame etc. You can target your post to drive more traffic. This way you get trendy topics for your blog and your posts attract organic traffic. You can also use Google keyword planner to get more related keyword ideas and competition. Do share your own way to find popular Keywords to write articles for your blog? Don`t forget to subscribe easkme feed to get updates.